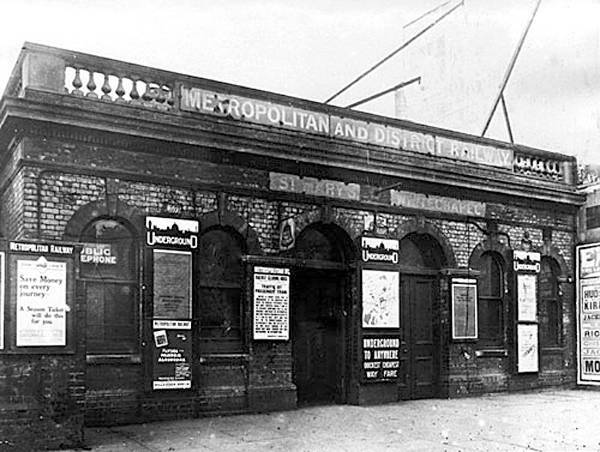 St. Mary's station was closed when Aldgate East station was relocated further east. thus making the distance between it and St.Mary's minimal. 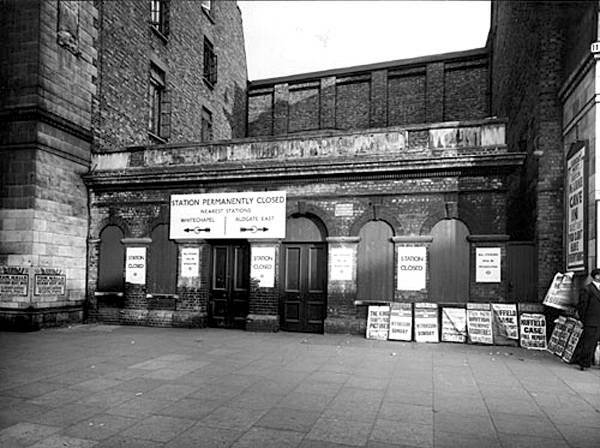 St.Mary's station building was destroyed by a WWII bomb in 1940. The station building in 1916. The station building just after closure in 1938. 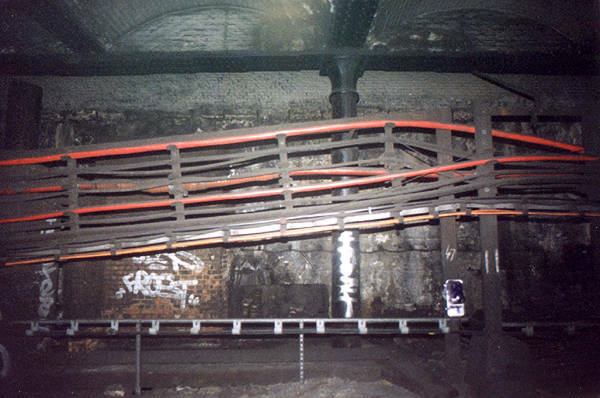 The emergency doors providing track level access on Whitechapel Road, between Aldgate East and Whitechapel stations. They are the only clue at surface level that there was ever a station there. 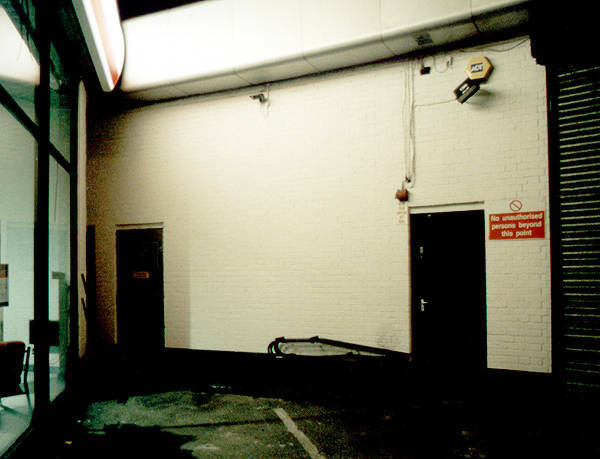 The platforms had a brick wall built on the edge of the platform as part of its conversion to air-raid shelter during the war. The wall still remains and that is virtually all you will see from a passing train. 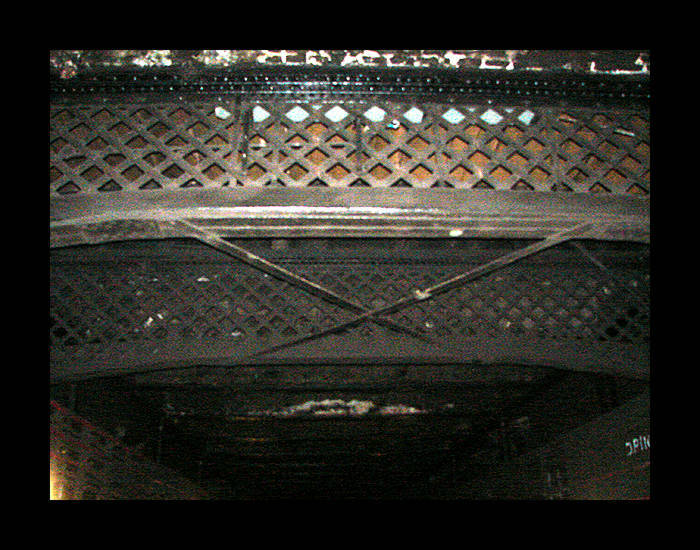 View from track level of the crossover passage ironwork, still in place in June 2006. View from track level in June 2006. 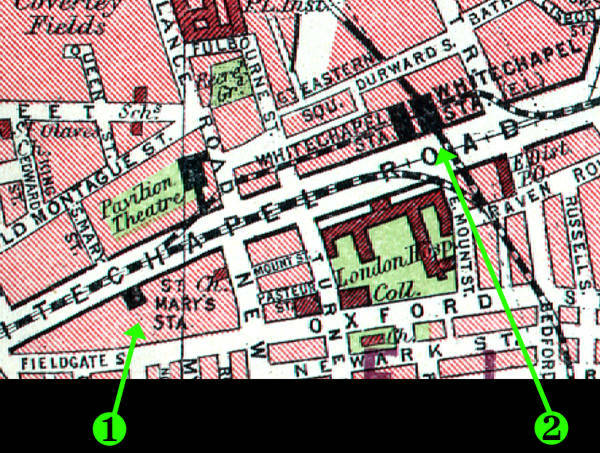 Interesting map from the 1930s showing 1) St.Mary's station and 2) Whitechapel station layout, clearly showing the District line, (what is now) the East London line, and the St.Mary's curve connection between the two. 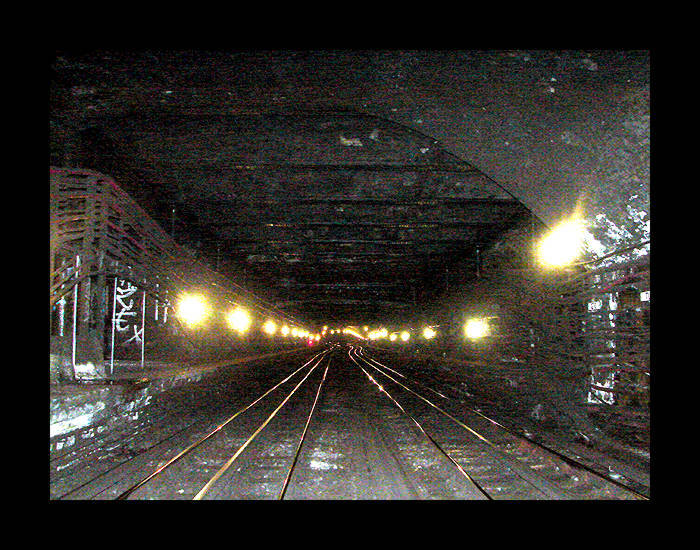 The St.Mary's curve was decommissioned during the East London Line overground conversions works and the tunnel blocked. The platform area sealed off from the tracks by the brick wall. Eastward view of the line curving round to the left toward Whitechapel station. As above but a closer view. 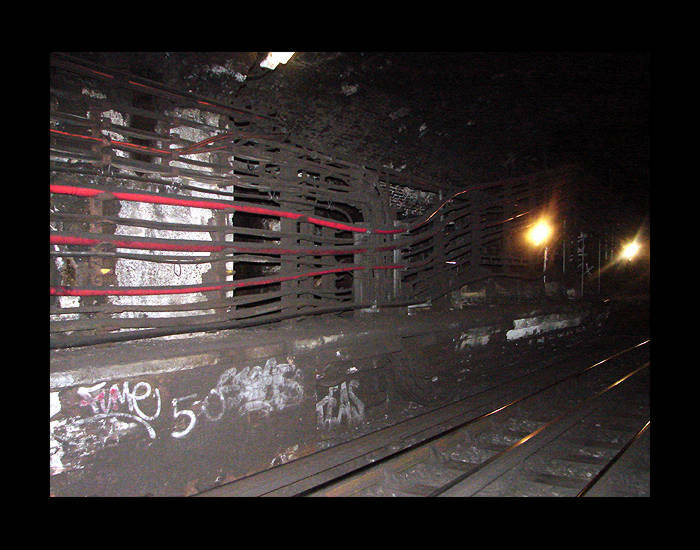 The tunnel going straight on is the link to the East London line, once used by Metropolitan line trains to New Cross/New Cross Gate but now severed. Note the changes in the roof. The BBC have an online movie tour by historian Dan Cruickshank in The London Nobody Knows. Click here for it on the BBC's website or here for it on YouTube. Top two photographs on this page are in the public domain. Photos 3 - 4 ©2001-2011. Reproduction prohibited. Photos 5 - 7 ©2006-2011. Simon Emmett. Photos 9 - 13 ©2011. Gary.